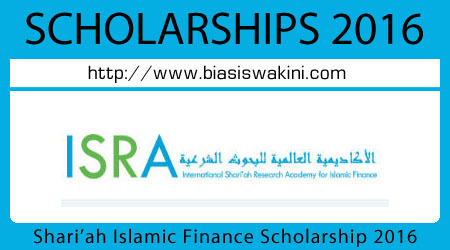 The Shari'ah Scholarship Award 2016 is part of the Fund for Shari'ah Scholars in Islamic Finance, which was established to enhance knowledge and research, strengthen talents, and encourage intellectual discourse in the field of Shari'ah in Islamic Finance. The Fund represents Bank Negara Malaysia's (BNM) commitment towards strengthening the development of the Islamic finance industry. 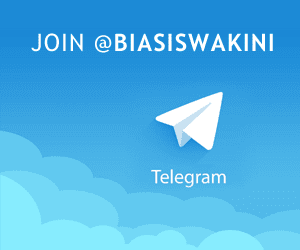 0 Komentar untuk "ISRA Full Scholarship 2016"